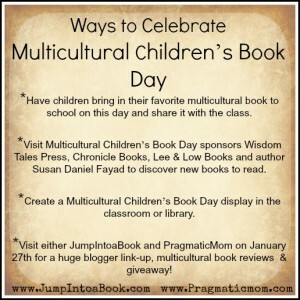 I am honored to be a reviewer for this year’s Multicultural Children’s Book Day, a national event celebrating diversity in children’s books. Despite census data showing that 37% of the US population consists of people of color, only 10% of published children’s books have diversity content. Our mission is not only to raise awareness for kids’ books that celebrate diversity but to get more of these books into classrooms and libraries. Our young readers need to see themselves within the pages of a book and to experience other cultures, languages, traditions and religions through the books they are reading. 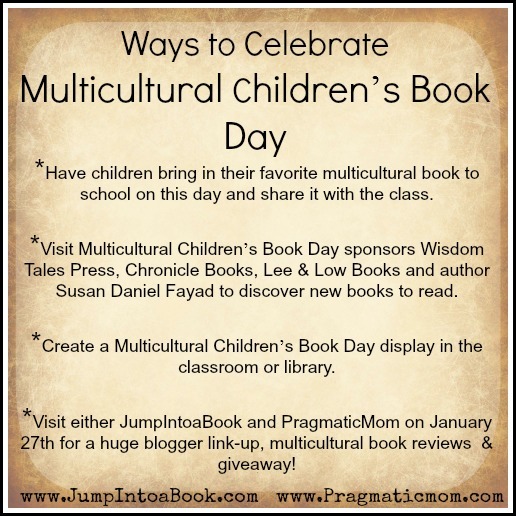 Follow all the fun via #ReadYourWorld. Enough of Frankie Already! by Felicia Capers (auth.) and Christopher Fabor Muhammad (illus.) is a great example of what MCCBD is all about! Published by Cookies, Crayons & Kids Media, a division of Posh Publishing, this book follows Amir, a second-grader, who is bullied by Frankie, a third-grader. The nefarious exploits of Frankie are known throughout the school until Amir gets fed up. One day, he finally stands up to Frankie, and what ensues is surprising to everyone. Frankie confesses that he, a third-grader, gets bullied by the fifth-graders, and the fifth-graders get bullied by the eighth-graders! It’s a cycle that needs to stop. When one of Amir’s classmates tells a grown-up about the situation, steps are taken to change the culture of the entire school. The Enough Already Campaign Against Bullying begins! Everyone makes posters honoring the diversity in all of us, and the school is declared a bully-free zone. 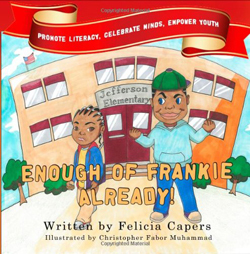 There are many books out there about bullying, but Ms. Capers book is unique in at least two respects. First, both the author and the illustrator are African American, and the children portrayed in the book have a range of skin tones. In one part of the book, Frankie bullies Amir by pulling on and mocking his braids. Second, this book presents Frankie’s perspective, too. He admits that he bullies others because he is bullied himself. Recognizing the cycle of bullying that exists in the school makes it everyone’s problem and therefore everyone has an opportunity to be part of the solution. The book, written for kids in grades K-3, also provides follow-up activities for families and schools. In the book, everyone makes anti-bullying/pro-diversity posters that are displayed in the hallways. It’s an easy activity to recreate at home or in schools with basic art supplies. Discussion questions, included on the last page, also encourage kids to delve more deeply into the issue of bullying — what it means, why it happens, and what kids can do about it. I highly recommend this book for anyone interested in preventing bullying, particular those who are trying to combat bullying in a diverse population. Carmen’s Advice which contains anti-bullying advice written for kids from a kid’s perspective. 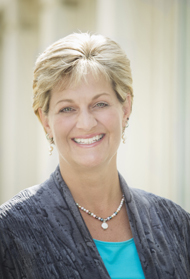 It also covers various approaches – combatting bullying alone, seeking additional help from friends or grown-ups, addressing one’s own bullying behavior, etc. Anti-Bullying Pledge Certificate, which is a .pdf file of a full-color certificate that includes an anti-bullying pledge on it. You can teach the pledge and then give everyone a certificate! This is the government’s web site devoted to anti-bullying. This particular page contains several short (2-3 minute), kid-friendly videos that can be viewed and discussed. This web site contains several anti-bullying ideas, but I really like the first one. Have one of the kids lie on a large piece of butcher block paper. Trace around the body to create an outline of a child. Do this twice. On the first outline, write bullying phrases or sentiments. Then crumple it up. Talk about how bullying makes other people feel. Uncrumple it and talk about how bullying behaviors can never truly be removed/taken away. On the second outline, write as many positive statements as possible. Hang up both outlines as reminder of how bullying hurts people and what kids can say/do instead. The National Education Association also has tips and tools for preventing bullying. This particular page teaches young kids (K-2) to recognize how bullying is different from occasional conflict. Mia Wenjen from Pragmatic Mom and Valarie Budayr from Jump Into a Book/Audrey Press. MCCBD is partnering with First Book to offer a Virtual Book Drive that will help donate multicultural children’s books through their channels during this entire week. Help get diversity books into the hands of kids who most need it! The Virtual Book Drive is live and can be found HERE.